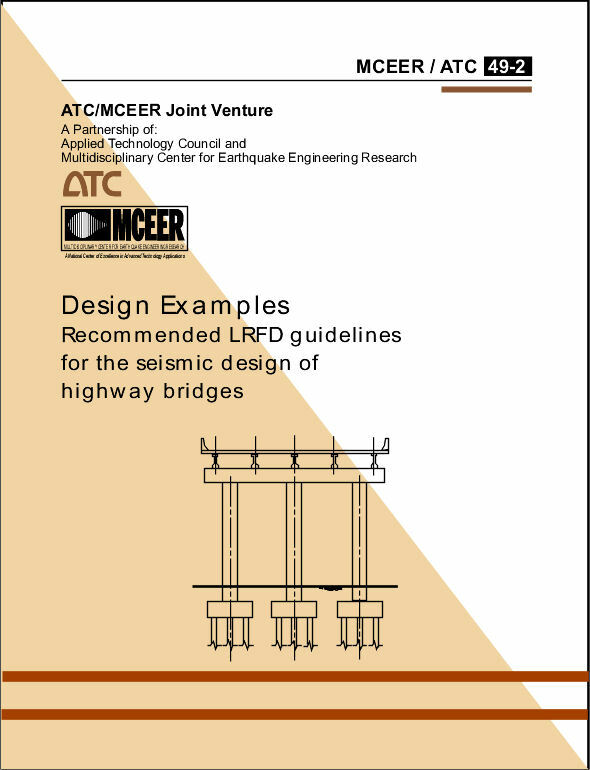 The ATC-49-2 report, Design Examples, was prepared by a joint venture partnership between ATC and the Multidisciplinary Center for Earthquake Engineering Research (MCEER). (Published 2001, 260 pages plus CD containing complete database). 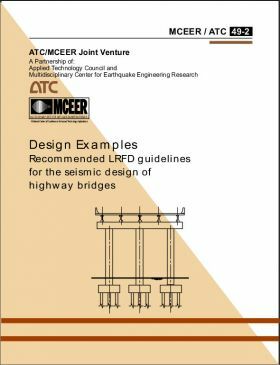 ABSTRACT: The MCEER/ATC-49-2 Design Examples report contains two design examples that illustrate use of the Recommended LRFD Guidelines for the Seismic Design of Highway Bridges.